This holiday home is situated 3km east off Reefton in the historical settlement of Blacks Point . The cottage backs onto the Inangahua River, great for summer swimming. Excellent fishing area. Close to the bush - excellent tramping hunting and mountain biking opportunities. Blacks Point has a museum where an extensive collection of historical items are on show. There is also a working water driven gold stamper. The nearby town of Reefton is steeped in gold and coal mining history . The town has a golf course, hotels, cafes, and an information centre. The cottage has a small bach next door, if you were to need extra room and beds. Check out my other listing. So much character in the property and will most definitely be back to relax here. We hope it will become a regular trip. Just a great spot for a short brake. Such a lovely quiet relaxing spot. The cottage has got loads of character with lovely views of the garden. The floor is very uneven but being this old it adds to its charm. I enjoyed my stay a lot and will do it again some other time. Great guest . Welcome back anytime. Fantastic location with the river only a stones throw away, cosy cottage with everything you need. 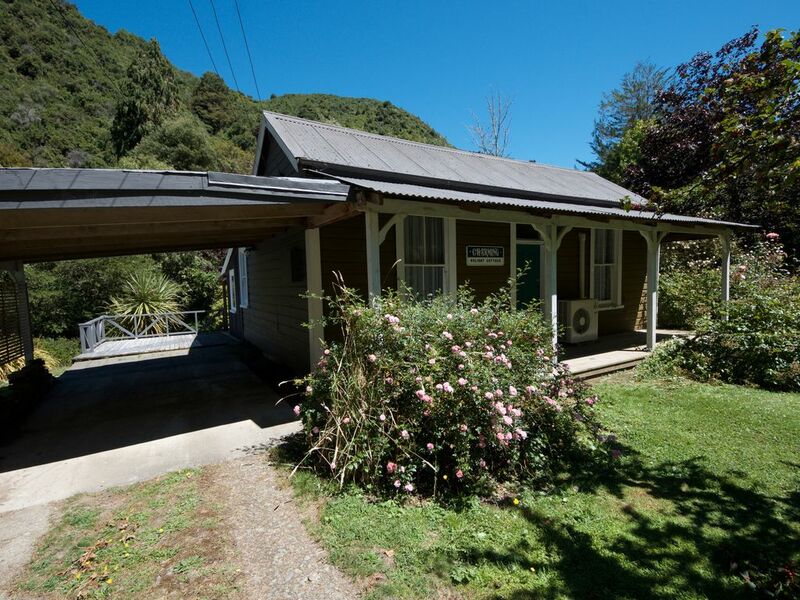 Blacks Point is a peaceful wee village just out of Reefton and this cottage is the perfect place to stay for a quiet getaway. The house has everything you need and comfortably slept our family of 4. The river is sublime in summer with a perfect swimming hole at your back door and the free use of a kayak. Chris is a fantastic host with good knowledge of the area and the activities and various walks on offer (there is a great walk into Reefton along the old tram track). We will definitely be back again!